SHIN FU FASTENER CO.,LTD. is located in Kaohsiung City, Taiwan. 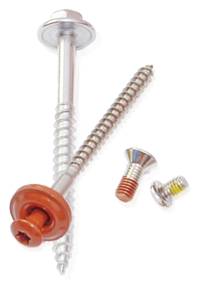 We have a wealth of experience in the production of stainless steel screws, high quality construction screws and reliable self-drilling screws. With well-trained engineers, we could design and develop new productions rapidly. Also, we have well-trained QC development and equipments. We always emphasize on real-time and after-sales service. If you would like to learn more informations about us, please contact us and welcome your inquiry.